Links to your music on Soundcloud, Youtube, etc. Links to your Facebook, Twitter, etc. Available dates **NOTE: I book 3 to 4 months out. I predominantly book disturbingly good singer-songwriters, jazz, lounge and groove music on weekdays. I’ll roll into soul, funk, Afrobeat, psych rock and some heavier funk, reggae, hiphop and Latin music on the weekends. I rarely book country unless is can slide into one of these categories. Cosmic Country? Yes. Red Dirt Country? Nosireebob. Exceptions for special events, e.g. cd release parties? Possibly. 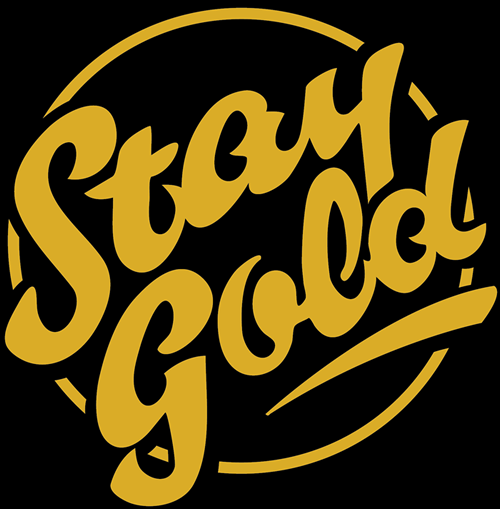 Stay Gold will provide a sound engineer for your performance date and time. The cost of the engineer is paid for by the venue (excluding private rentals, cover shows and special events). Your load in & sound check times will be established with your engineer. Please keep in mind that you are playing *TO THE ROOM*. Some of these bookings aren’t exactly blockbuster shows — it’s more like setting the mood. That might not sound so glamorous to you, and I get that. But if you want to crank your amps at 10pm on a Tuesday and consequently drive the regulars and awkward Tinder dates out of the room, then we have a problem and you’re probably not the best fit for the venue. Your engineer should work with you to find an appropriate level based on the day of the week and the crowd. If you’re booked for a weekday performance and you’re the only artist on the bill, I would like to hear 70/30 on original material. Some covers are okay if you need to fill that allotted time, but I don’t want to hear you run the gauntlet of every Meters song you have in your arsenal. Consequently, please do not repeat songs in your set. Guests do notice. And if the owner calls me and tells me he popped his head in right at the exact moment that you decided to do a John Mayer cover …well… I bet you can imagine what your future performance potential looks like. PLEASE DO MAKE A FACEBOOK EVENT. I only create them for special events that we host at the venue. It’s too much to create them for every show. If you build it, I will share it with our followers. It is great to be listed here, and have an artist profile. POSTERS: Yes, you are more than welcome to bring your posters by. 4-5 is usually good for the bar. I cannot print posters for you. © 2019 Stay Gold Austin | Austin, TX. All Rights Reserved.